From planting trees to building public gardens, learn more about what the Urban Air Foundation is doing to reduce pollution and promote sustainability around our community. The Willis Avenue garden will soon house a new casita facilitated by UAF. UAF and NYRP are planning and building a casita for NYRP’s Willis Avenue garden in the South Bronx that incorporates sustainable and affordable elements including off-the-shelf recycled materials, renewable energy, and rain water capture for watering garden trees and plants. The Willis Avenue structure will serve as a model that UAF and NYRP can seek to have implemented in the hundreds of community gardens in NYC. 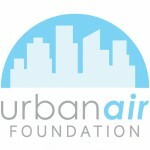 The Urban Air Winter AffAIR to Remember raised funds for the Casita Project. The Urban Air Foundation hosted its inaugural fundraiser at Soho House on March 19, 2014. Guests gathered in the elegant Library Room over cocktails and passed bites to learn more about the Casita Project from NYRP and the architects behind the project’s unique kit-of-parts, TEN Arquitectos. Proceeds from the event will benefit the Urban Air Foundation and the Casita Project. When complete, the casita will serve as a model for other community gardens. UAF and NYRP are working together with world-renowned architects Enrique Norten and Andrea Steele of TEN Arquitectos to develop the casita for the Willis Avenue Garden. The goal for the casita design is to develop it as a ‘kit of parts’ with elements that can be easily be reproduced and assembled for NYRP’s other community gardens, to reduce costs and schedule for future projects. Currently, NYRP has 52 community gardens in NYC. From left to right: Stephen Rizzo (Urban Air Foundation); Jay Black (Director of Sustainability, SL Green Realty Corp.); Geoffrey Glick (SR VP of External Affairs, NYRP); Congresswoman Carolyn Maloney, Commissioner Veronica White (NYC Parks). SL Green Realty Corp., New York Restoration Project and the Urban Air Foundation hosted “Re-Green NYC”, a day of tree-planting on Randall’s Island in coordination with Randall’s Island Park Alliance. SL Green tenants and employees joined in on the tree-planting action to commemorate Earth Day 2013 and VIP attendees included Congresswoman Carolyn Maloney, NYC Parks Commissioner Veronica White, Jay Black, SL Green Director of Sustainability, Geoffrey Glick, SVP of External Affairs at NYRP, and Stephen Rizzo of the Urban Air Foundation. UAF hosted an Action Day in December to plant 500 new trees at Highbridge Park. According to the NYC Parks Department, the city-wide tree loss from Hurricane Sandy was at least 50% greater than any previous extreme weather event, with tens of thousands of trees lost and a final count awaiting access to the most wooded areas. During Urban Air Foundation‘s December 2012 Action Day, volunteers planted 500 trees in Highbridge Park. The day of service was an opportunity to contribute to Sandy recovery efforts in a meaningful way with a lasting impact on our community. UAF’s first Spring Happy Hour took place at the Norwood Club. UAF hosted its first Spring Happy Hour in April at the Norwood Club! 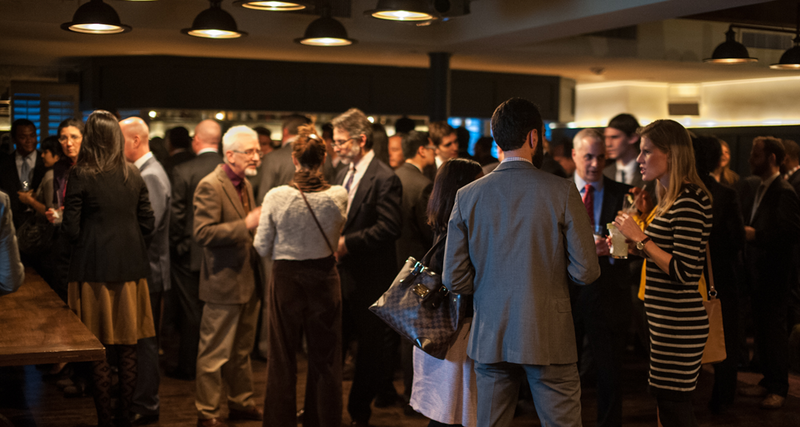 The event introduced members to two impactful organizations that are already creating value in high density urban areas – NYC CoolRoofs and The Nature Conservancy.